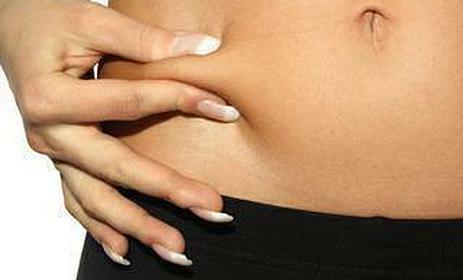 The human body has a tendency to store excess fat in some of the most unbecoming places. However, excess body fat, in specific locations, can be removed by high vacuum suction with a high degree of patient safety, when performed correctly and when proper precautions are taken. Patients with localized excess body fat may complain about large hip rolls, bulky thighs, excessive abdominal fat, bulky arms, and fat beneath the chin, all of which detract from the body’s natural proportion. The removal of excess body fat from the subcutaneous tissues through liposuction is an effective method for selectively contouring the body. Liposuction is intended to correct “figure faults.” It is not for weight loss. Areas which respond well to liposuction include the abdomen, thighs, hips, knees, upper arms, chin, and the chest area in males (fatty male breasts). The most important issue in liposuction plastic surgery procedures is patient safety. This relates to the amount of fat removed, the body area suctioned, and whether or not the liposuction is performed in conjunction with other large cosmetic plastic surgery procedures, which can increase the risks of surgery. Our plastic surgeons will discuss the pros and cons of each technique during your consultation. Liposuction is a highly effective method for removing localized excess fat. There is a period of post-operative swelling, and one cannot appreciate the final result until the swelling has subsided. The process of maturation and softening goes on for a number of months. The combination of liposuction with an abdominoplasty, or tummy tuck surgery, for example, can significantly increase the risk of serious complications. At Fairbanks Plastic Surgery Center, the amount of fat removal is carefully monitored, and we do not recommend performing liposuction procedures in conjunction with other large cosmetic surgery procedures. We follow all parameters carefully to insure the utmost in patient safety. Liposuction should not be used in an attempt to reduce the size of large female breasts. There are a number of techniques available for performing liposuction, including ultrasound-assisted liposuction, power-assisted liposuction (which utilizes an oscillating cannula), and laser-assisted liposuction. We consider laser liposuction, which kills fat cells, to be dangerous and fraught with unnecessary complications. We, therefore, recommend against it. Despite catchy names, none of these variations have been shown to improve the results compared to safe vacuum liposuction. They can increase the risk of complications and will be more expensive, guaranteed. Proper sterile techniques are essential in performance of the surgery. Infections in the subcutaneous layers, from improper technique, are serious and can be life threatening. This patient had liposuction surgery performed on her hips and abdomen. This patient had liposuction surgery performed on her abdomen. This patient had liposuction surgery performed on her hips, thighs, and abdomen. This patient had liposuction surgery performed on both abdomen and hips. This patient had liposuction plastic surgery performed on her hips. *All before and after photos are real patients of Fairbanks Plastic Surgery. Identifiable images are used with patient permission.